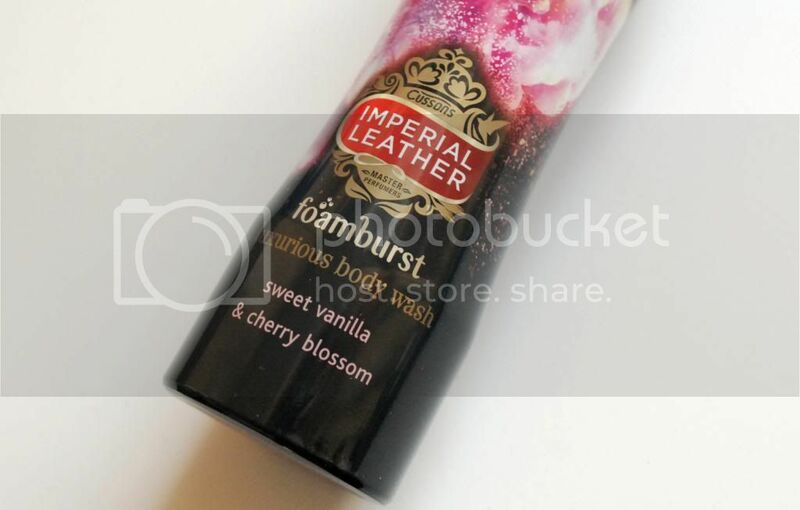 Imperial Leather's Foamburst has always been a firm favourite of mine, so I was very excited to hear about the new range! Sweet Vanilla and Cherry Blossom smells exactly like what it says on the packaging. A gorgeous sweet smell, which isn't too overpowering. It actually smells like candy/sweets - good enough to eat (although, obviously, don't)! Foamburst is possibly the only shower gel I've used that lathers with even the tiniest bit of product. 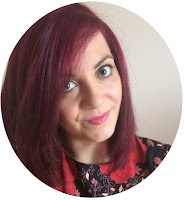 Using exfoliating gloves or a body puff, you only need a small amount to cover your whole body. I'm really happy about this - it's well worth the pennies as it will last you for a while before you need to consider your next purchase. The only downside is that the shower gel actually continues to foam out of the packaging after use, leaving it a bit sticky! It's not a problem as such, but it could leave a mess in your bathroom cupboard or wherever you store your products. 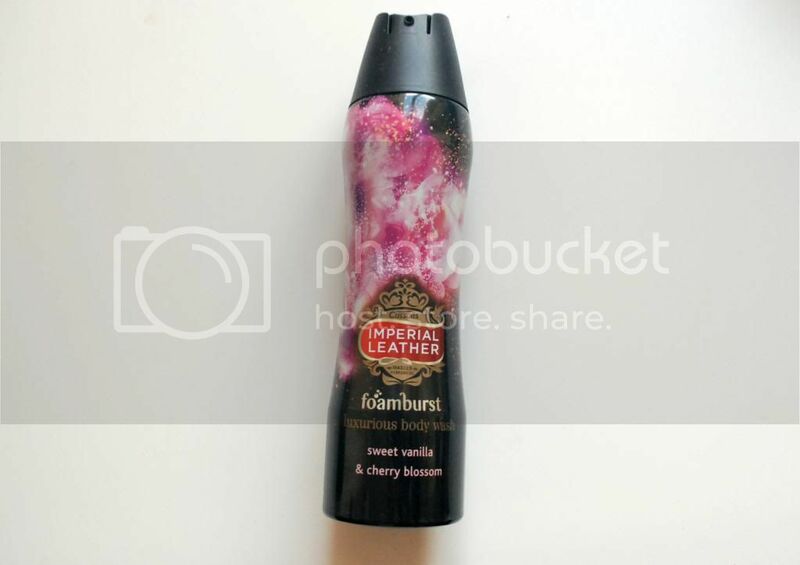 Overall I love Imperial Leather's Foamburst and I will definitely repurchase this when it runs out. The scent is lovely and fresh, and the lather makes my skin feel so soft and nourished afterwards. I'm really intrigued to find out what Moisturising Honey & Almond Milk and Uplifting Lime & Grapefruit smell like too. Saying that though, now I've found out that Imperial Leather has launched some Foamburst Genies, I'm struggling to decide which scent to choose next! My current genie is Sebastian (who is rather nice)! Have you tried Imperial Leather's Foamburst range? Who would be your Genie?